New Maruti Celerio Facelift 2017 launched in India at Rs. 4.15 Lakh (Ex-showroom Delhi). 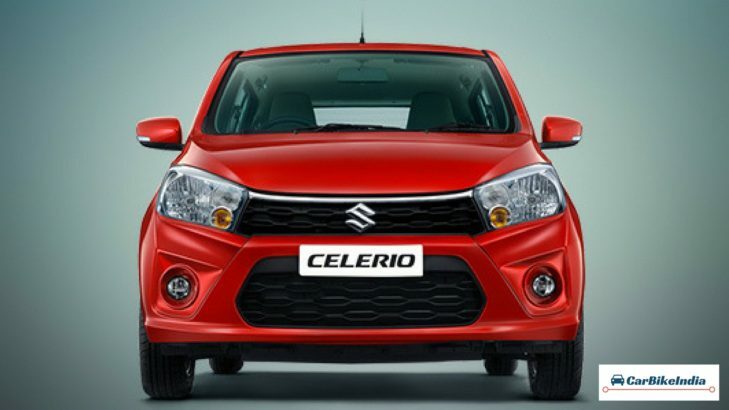 Check out complete information on New Celerio Facelift. 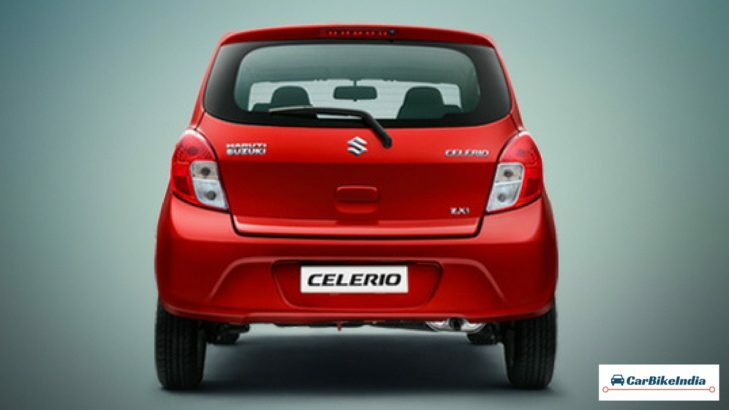 Have a look at the Celerio Car Images, Celerio Features, Interior, Specifications & more. The new Maruti Celerio 2017 is now launched in India at the price tag of Rs. 4.15 Lakh (Ex-showroom Delhi). The company has introduced the Celerio facelift in 12 exciting variants. The facelift of the Celerio comes after 3 years of its first launch back in 2014. For Maruti Suzuki, the Celerio hatchback has been the key players since its arrival and over 3 lakh units of this car were sold in last 3 years. The Celerio has gone through several changes in its refurbished avatar and both the outside as well as inside are cosmetically appealing. However, no changes are made in the power-train and the Celerio 2017 continues to carry the same 1.0 Litre K-Series mill under the hood. The 2017 Maruti Celerio witnesses distinguishable makeover and it definitely looks better from its forerunner. For three long years, the Celerio car has carried the same dated looks and now with the facelifted Celerio out for sale, the transformation is definitely tedious to exciting. The fascia is modern and contemporary, and the style and sportiness are adequately visible. Maruti Celerio 2017 comes with a newly designed sporty mesh grille that is complemented by a stylish chrome garnish on the bonnet. The front bumper is entirely reworked and so are the front fog lamp housings. The side as well as the rear profiles are also tweaked a bit to give a different look to the car. There is an all-new back door garnish at the rear and even the bumper is slightly altered to make the rear look vivacious. The 2017 Celerio interior goes through breathtaking changes. It gets a new high contrast interior in Black and fresher greige. The greige seat trims along with a new abstract pattern given an entirely fresh and premium appearance to the cabins. The outdated seats are all gone, the facelifted Celerio now gets fresh seats. 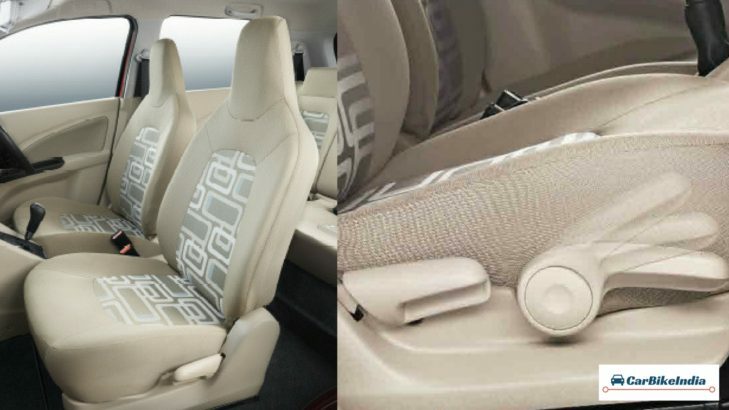 Added to this, the Silver accents and door trim fabric design further raise the class of the Celerio cabins. The safety standards are taken to the next level in the facelifted Celerio. 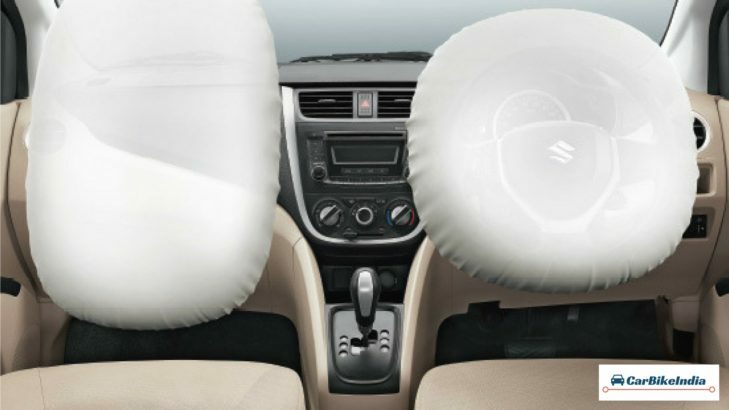 The 2017 Celerio features dual airbags and ABS as an option across all its variants. Added to this, there is also a driver side seat belt reminder offered in the car. With the added safety features the new Celerio 2017 meet the BNVSAP (Bharat New Vehicle Safety Assessment Program) ahead of its timelines. Other than the safety improvements, the 2017 Celerio features Seat Height Adjuster, Electronic ORVMs, Tilt Steering, Keyless Entry, Central Door Lock, Air-conditioner, 4 Speakers in top end trims, Day Night IRVM, ORVMs with Turn Indicators, Alloy Wheels, Front Fog Lights etc. 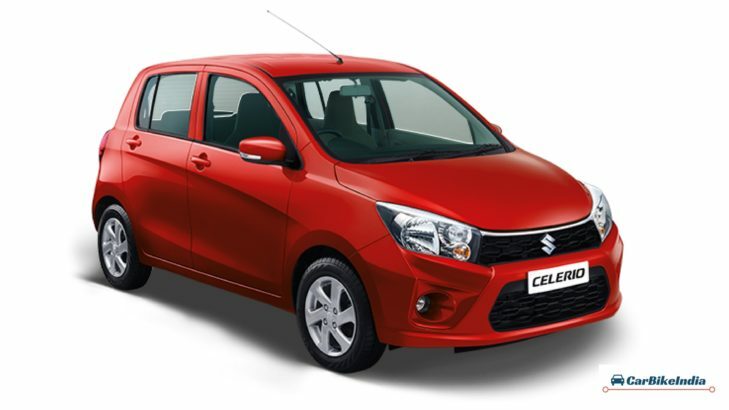 The all new Maruti Celerio facelift remains unchanged under the hood. The new Celerio is available in petrol and CNG-petrol in-line options. 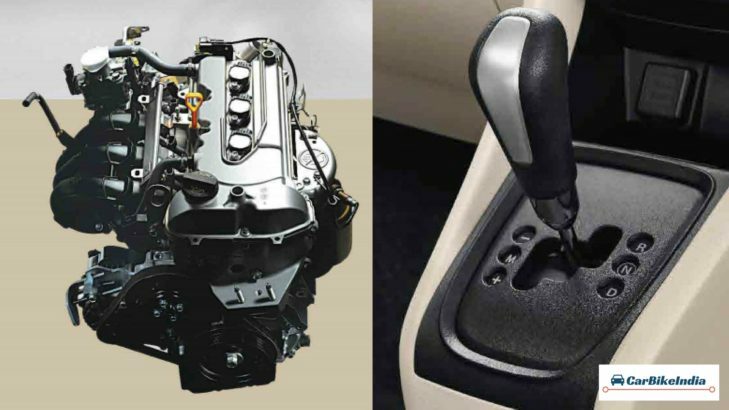 The 1.0 L 3-cylinder K-Next petrol engine produces maximum power of 67 bhp at 6000 rpm and maximum torque of 90 Nm at 3500 rpm, whereas the petrol-CNG variants would return maximum power of 58 bhp at 6000 rpm and peak torque of 125 Nm at 2000 rpm when the car is run with CNG mode enabled. Like the previous model, the engine of the new Celerio is either linked to a 5-speed manual transmission or an Auto Gear Shift (AGS) transmission. The K-Next engine that comes with Drive-by-wire technology not only ensures high performance under practical conditions but also returns an excellent fuel efficiency. The petrol motor of Maruti Celerio scores claimed mileage figures of 23.10 km/l while the drive with the CNG mode enabled returns claimed fuel efficiency of 31.79 km/kg (mileage as per test results of Rule 115 of CMVR 1989). In the Indian auto-market, the all-new Maruti Celerio competes with the likes of sibling Maruti Wagon R, Tata Tiago, Grand i10 and Honda Brio.